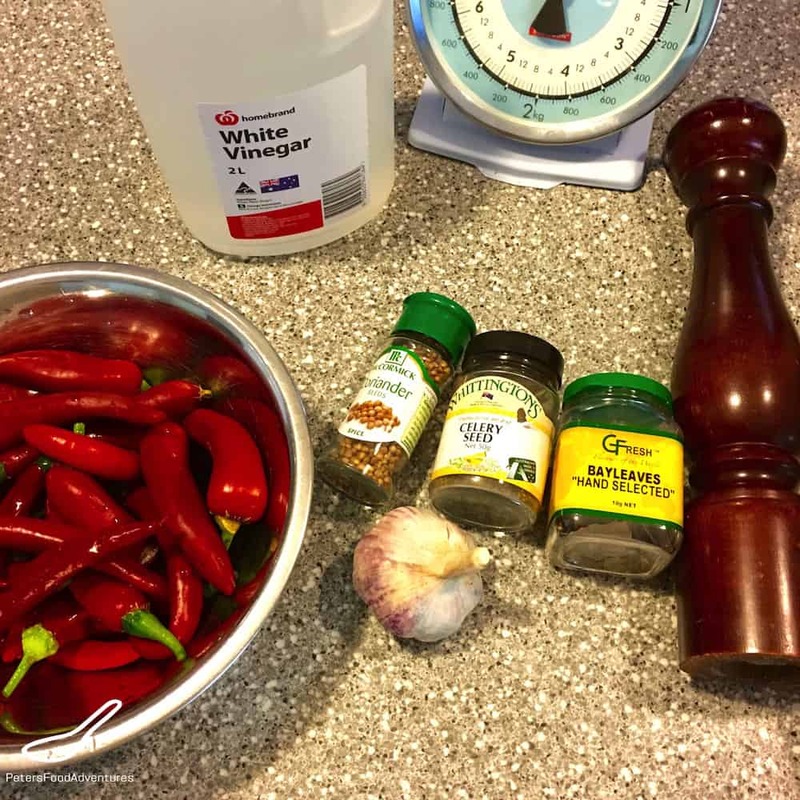 Quick Pickled Chillies are a tasty condiment for spicing up stir fry dishes, soups, Asian rice dishes, burgers, or Russian ones such as Plov. It’s also a great way to punch up a hot dog in a bun, much tastier than plain ketchup and mustard (so spicy)! I love pickled foods. Dill Pickles and Quick Pickled Pattypan Squash taste amazing on burgers, you need to try it! I have so many chilli peppers growing in my garden, and it seemed like they ripened all at once. 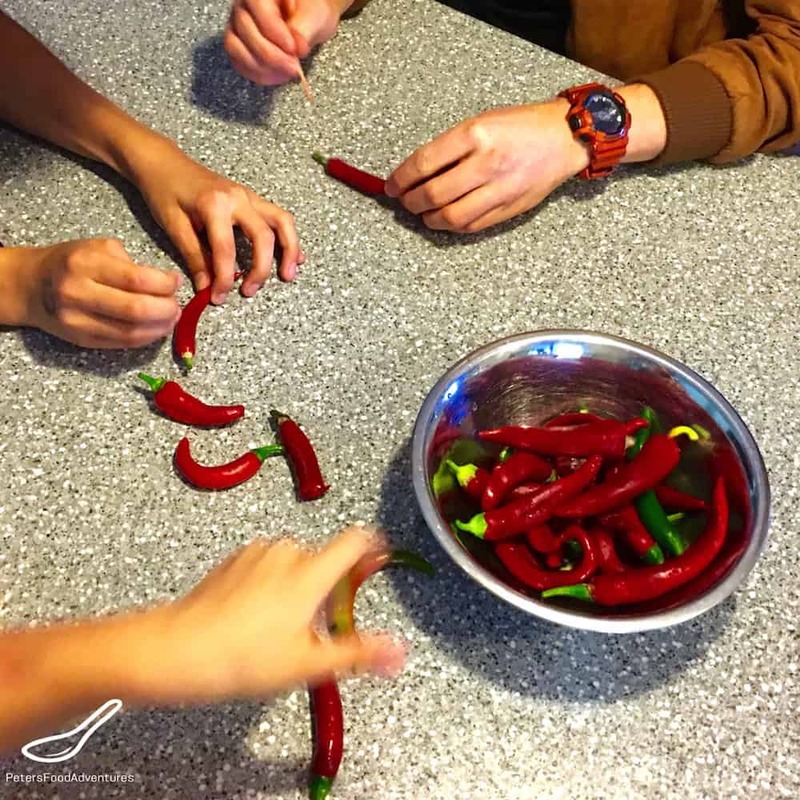 It’s always convenient to have fresh chillies growing in the garden, but I had 1kg/2lbs of ripe chilli peppers, so many peppers. 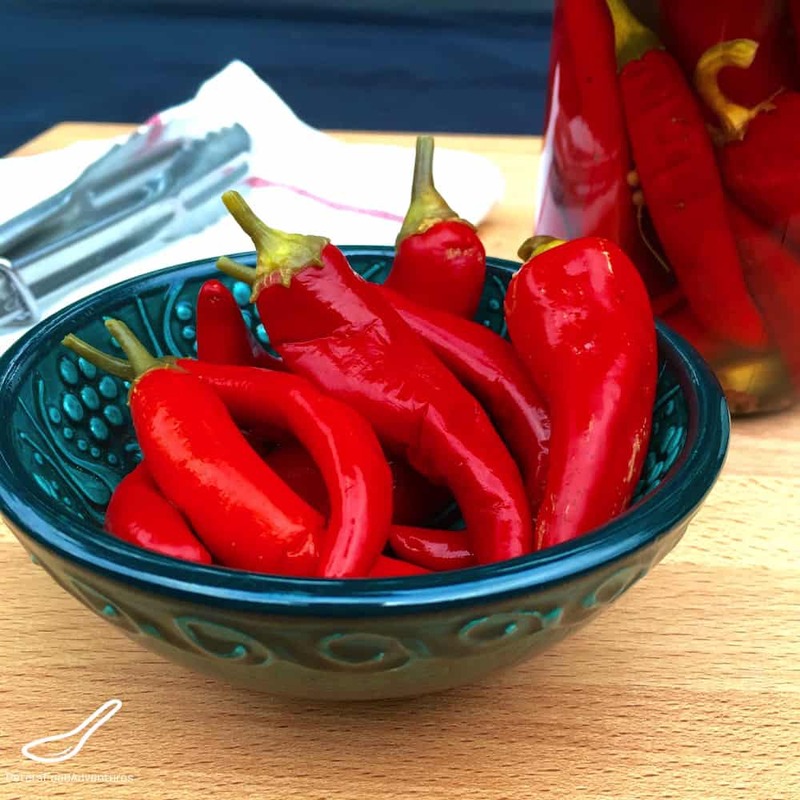 Quick Pickled Chillies recipe are a great way to preserve your peppers, so you can eat them when you’re ready. I don’t seal and “can” the jar of peppers, so it can be kept unrefrigerated, I always keep them in the fridge. If you want the whole canning process, check my Canned Pickled Russian Tomatoes recipe. I just I love the vinegar-y pickled infused blast of flavour it adds to my meals. It only takes 20-25 minutes tops, and is so easy to make. Pickled and fermented foods taste amazing, and are becoming a lost art, this recipe is so easy, it’s worth a try! 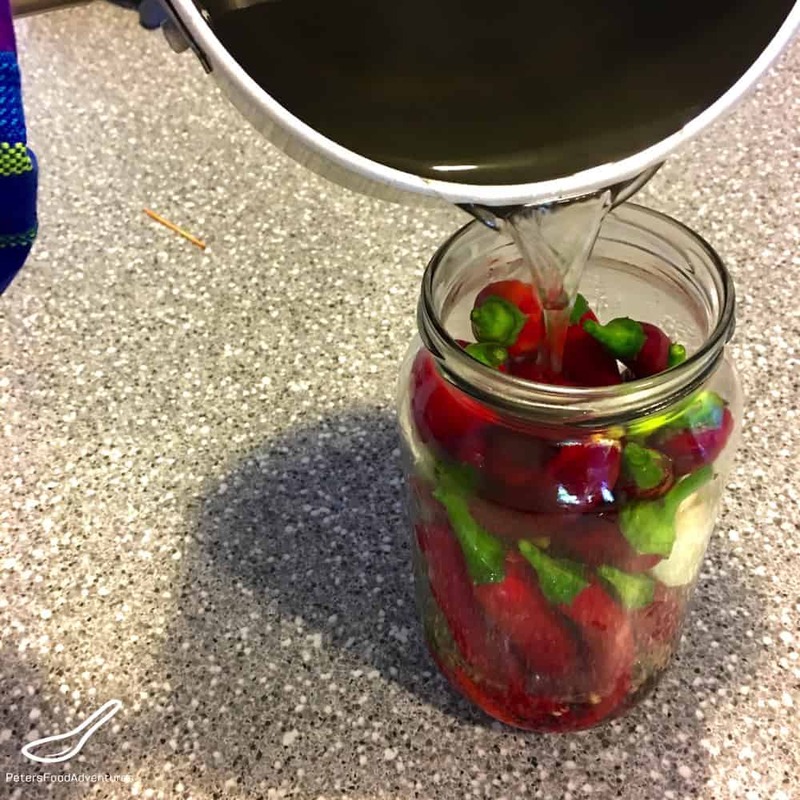 Hope you love these Pickled Chili Peppers as much as I do! Bon Appetit! Приятного аппетита! Wow, thank you for sharing this, Peter! I didn’t imagine it’s so easy to make. Look at the beautiful redness – really appetizing – and what a nice garden you have! Ah, coriander seed is another unknown herb …. just learnt from Russian black bread (on the web). It tastes like coriander leaves? Thanks Rotwein! You can easily omit the coriander seed. It tastes different from the leaves. And yes, so easy to make, makes me wonder why we ever bought store ones! This looks like such a simple and easy to follow recipe. I love pickled chillies although I usually prefer peppers. I can’t wait to try this at home. Thank you for sharing! 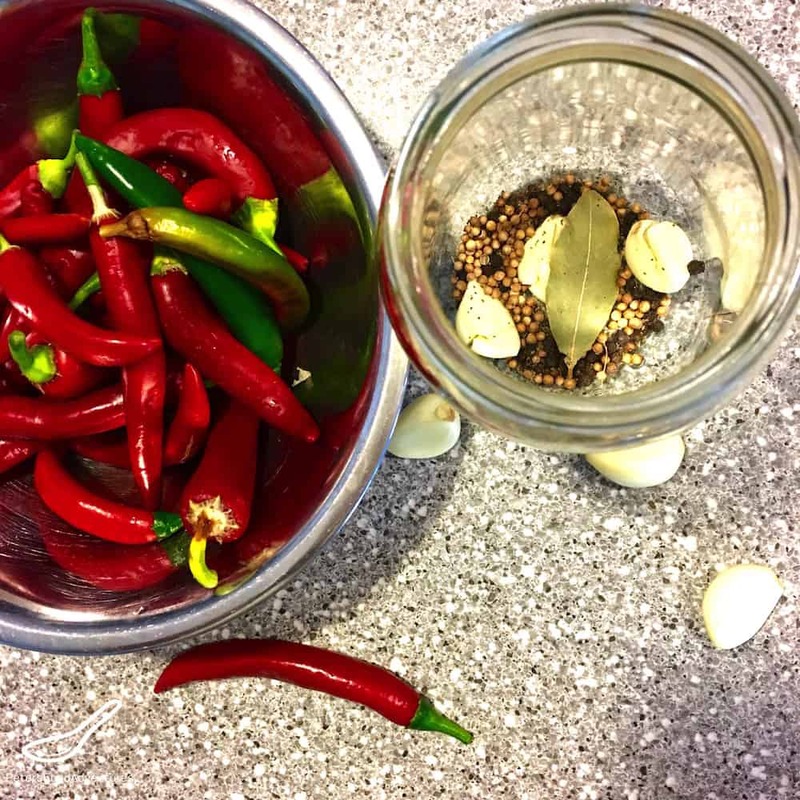 I’ve used this pickled chilli recipe a few times now. It’s easy and delicious.